Stuart Weitzman's sequin flats originally retailed for $275, now marked down to $138 at National Jean Company. 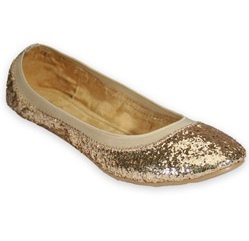 Wanted has a similar sequin flat which retails for $39.99 and also comes in bronze, black, and pewter. Click HERE if you're interested in purchasing.